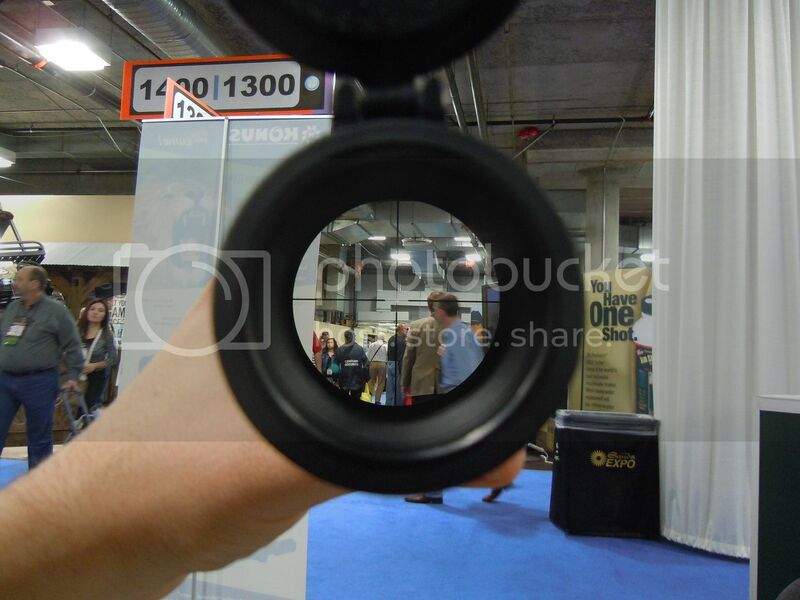 Shot show was my first opportunity to view the Konus M30 1-4x24mm. Probably the best and worst thing that I can say about this scope is that it is uninteresting. At $369 it enters the market at a point already crowded and it really does nothing to distinguish itself. If you have and love a Konus you would probably buy this one. If not, its not going to convert you to the brand. The reticle does not stand out in the least. It is a 2nd focal plane duplex style that has a central dot illuminated, though not brightly. 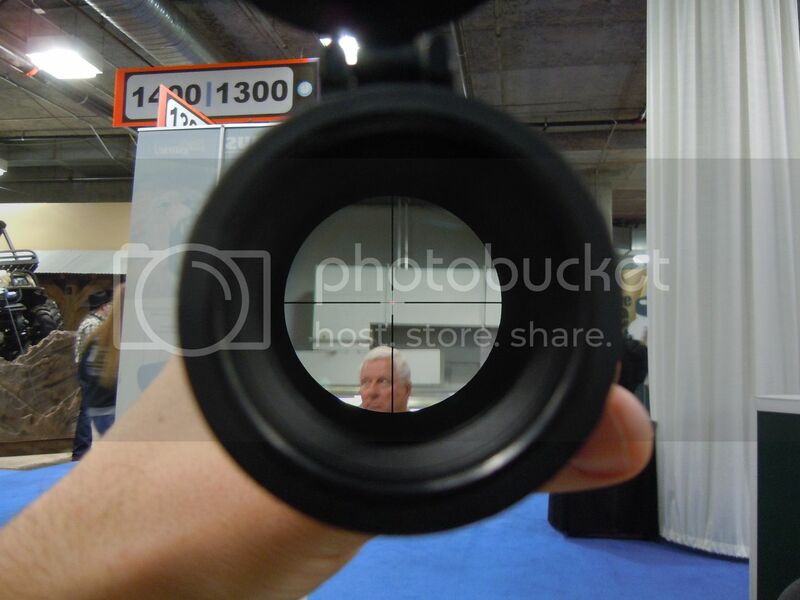 The field of view is perhaps this scopes most lacking feature. It,s field of view is significantly smaller then the GRSC reference despite the fact that, on a 1-4x 2nd focal plane scope, it is not difficult to have a much larger field of view and most optics, even in this price bracket, do. 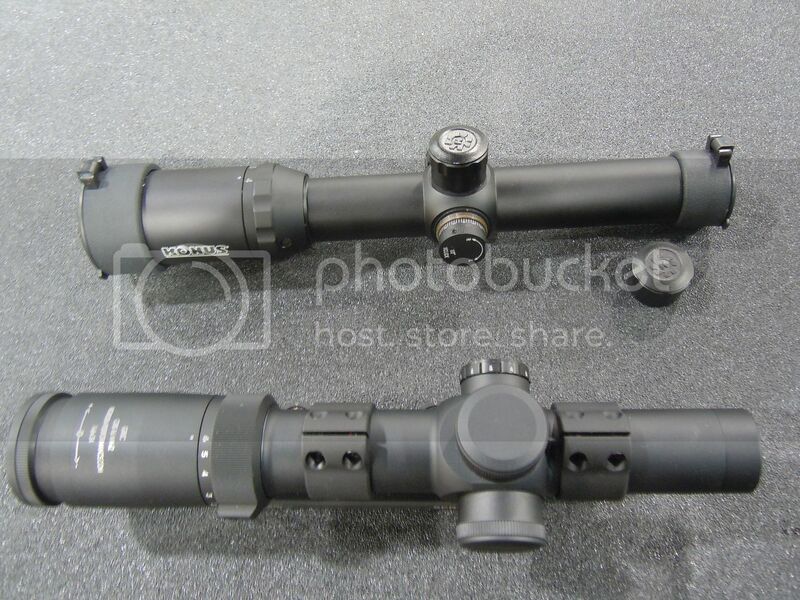 The clarity of this scope seems about in line with the average clarity at its price point. Turrets are small capped and finger adjustable with 1/2MOA clicks. They are illustrative, in many ways, of the fit and finish of the scope in general: Not terrible but also not great. I greet this scope with a resounding Meh.